Abu Dhabi, March 11, 2019: Thousands of the world's foremost experts in road infrastructure, transport and technology will descend on Abu Dhabi this October for the first ever World Road Congress to be held in the Middle East. 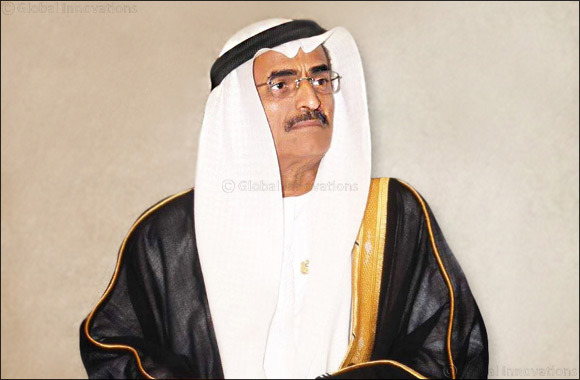 Held under the patronage of His Highness Sheikh Mohamed bin Zayed Al Nahyan Crown Prince of Abu Dhabi and Deputy Supreme Commander of the UAE Armed Forces, the Congress comes as the United Arab Emirates was recognized by the World Economic Forum as having the best roads in the world from 2015 to 2018. Organized by the World Road Association (PIARC) and the Abu Dhabi Department of Transport (DoT), the major event is expected to attract more than 5,000 delegates from 120 countries with at least 40 government ministers. The 26th World Road Congress will be a five-day event discussing the over-arching theme of ‘Connecting Cultures, Enabling Economies'. The UAE has been recognized consistently since 2015 for having the best roads in the world. The World Road Congress 2019, held 6 -10 October at Abu Dhabi National Exhibition Centre, will offer a unique global platform for the UAE to demonstrate its commitment to innovating in the surface transport, tunnels, bridges and infrastructure space. His Excellency Dr. Abdullah Belhaif Al Nuaimi, Minister of Infrastructure Development and Chairman of the Federal Transport Authority – Land & Maritime, emphasized the UAE's distinguished position and its potential for hosting international conferences, due to its advanced infrastructure, which represents a model of best international practice. His Excellency said: “This year, the 26th International Road Conference will be an opportunity to present and address programs and issues related to different modes of transport and advancements in the sector, such as smart innovations. “It will be an opportunity to demonstrate the development and sustainability of the UAE infrastructure and to meet like-minded industry experts to share experiences and information on applying the latest global standards in planning. The World Road Association (PIARC) has organized the World Road Congress since 1908. It aims to share worldwide techniques, innovations, political strategies, trends and developments as well as best practice in the fields of road, infrastructure and transport. Claude Van Rooten, President of the World Road Association (PIARC), said: “Every country in the world has come to depend on roads to provide year-round access and mobility for their populations. As our populations evolve, today's road network must meet new demands and expectations.